Credit Suisse’s support has helped enable Accion Venture Lab’s support of startups using fintech to reach the underserved. Credit Suisse has been a longstanding partner of Accion, notably in helping to launch both the Center for Financial Inclusion (CFI) in 2008 and Accion Venture Lab in 2012. Its support has gone well beyond financial contributions and has developed into a valuable relationship of mutual advice, referrals, and opportunities to engage public audiences. A leading global financial institution, Credit Suisse is committed to, as it states in its corporate responsibility report, “fostering inclusive growth by addressing socio-economic challenges.” Through its involvement in the founding of impact investment asset manager responsibility in 2002 and its own Financial Inclusion Initiative (formerly the Microfinance Capacity Building Initiative), Credit Suisse was one of the first Swiss banks to recognize the power of microfinance as both a transformative tool for the financially excluded, and an investment opportunity for its clients. While maintaining their deep commitment to promoting responsible, sustainable microfinance programs, Accion and Credit Suisse have broadened the scope of their involvement in financial inclusion over the last decade. This is illustrated well by Credit Suisse’s recent renaming of their Microfinance Capacity Building Initiative to the Financial Inclusion Initiative. More recently, Credit Suisse helped support Accion’s groundbreaking work with inclusive fintech startups by becoming an Innovation Partner in Accion Venture Lab. Providing unrestricted funding support means that Venture Lab can be both strategic and opportunistic when researching and identifying potential seed-stage fintech for inclusion investments. Furthermore, it allows Venture Lab team members to provide investee companies with critical post-investment support, helping to ensure their ability to scale and succeed. A recent Venture Lab portfolio addition is NOW Money, which operates in the United Arab Emirates — a region that has not traditionally attracted institutional funder interest to enhance financial inclusion. Thanks to the unrestricted nature of Credit Suisse’s funding, Venture Lab was able to research and ultimately invest in NOW Money, the first fintech in the Gulf region to use mobile banking technology to provide accounts, financial inclusion, and a range of low-cost remittance options to low-income migrant workers. 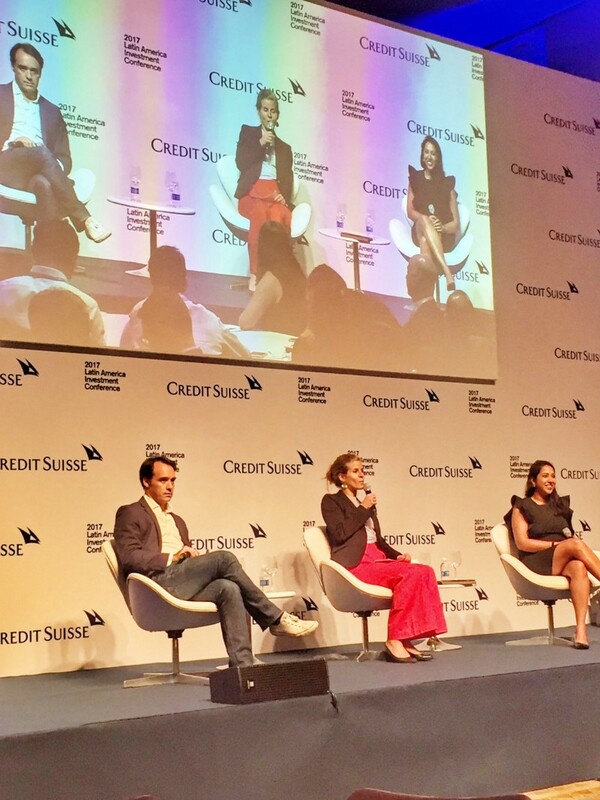 Credit Suisse’s support has also allowed Venture Lab to share its learning with the broader community in an effort to help build the financial inclusion ecosystem, and it has often partnered with the Venture Lab team by inviting them to speak at bank-led conferences and on panels. Accion and Credit Suisse staff members stay in frequent touch to discuss ongoing projects and new opportunities to advance our shared vision of a financially inclusive world. Credit Suisse’s unrestricted funding support has helped enable Accion Venture Lab’s support of more than 30 startups using fintech to reach the underserved.